The 2nd LP from Rene LaVice on the Ram Records imprint was one that cemented his reputation as one of the most musically distinct artists in his field. 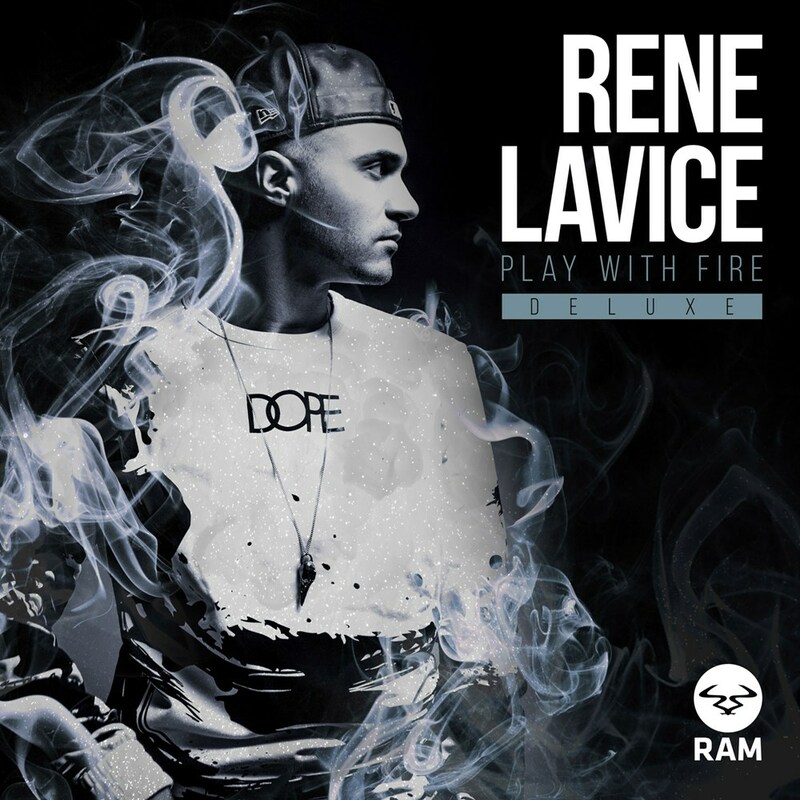 'Play With Fire' presented a brand new twist in the Rene LaVice discography. Featuring a range of tracks that bridge the gap between genres, it's been Rene's most diverse output to date. And since the LP dropped on his extensive fan base, whilst snaring new audiences across the musical spectrum, he's back with reworks on some of the LPs most outstanding titles. 'Wave' rolls out first, infusing a more domineering indie-rock breakdown against Rene's signature snare, it steps even further out of the drum & bass paradigm. Still lead by vocal crescendos weaving between the mix, it's still instantly recognisable. Up next you're presented with a brand new cut, one likely to grasp the attention of anyone who enjoys grimy beats and a brooding bassline. Snapping kick drums stand alongside quaking subs to take you deep into Rene's darker sound bites. 'Wicked it Works' is yet again another fresh record sure to ignite the anticipation for this release. With jungle breaks and a ragga sample pushing through its layers, the track is a welcome add on to his LPs 2016 successor. Lastly comes the retake on Rene's 'Lights Out', drawing once again for the voice talents of David Boomah and contorted over a more old school uptake on the original. A rolling number that reverberates on impact, it still holds the same weight, but through an alternative construction of beats. So here's to another milestone in Rene LaVice's career ï¿½ one that will resound for years to come and further indent him in the genre's history books.